David Noble: Peer Review, Where Are The Scholars? "Because findings published in peer-reviewed journals affect patient care, public policy and the authors’ academic promotions, journal editors contend that new scientific information should be published in a peer-reviewed journal before it is presented to doctors and the public. That message, however, has created a widespread misimpression that passing peer review is the scientific equivalent of the Good Housekeeping seal of approval." – Lawrence K. Altman, M.D. No, passing peer review is not the scientific equivalent of the Good Housekeeping seal of approval. . . I confess that decades ago as a Hearst Magazines fledgling I would on occasion pass by, and with some curiosity, peek in the glassed-in Good Housekeeping Institute where the coveted seal of approval was given to mattresses able to withstand umpteen thrusts, to pantyhose, pots and other utilitarian items. And how can I forget running into Johnny Weissmuller in the hall one day? The seal meant something – even Tarzan wanted to be associated. But to help me flesh-out what scientific peer review IS exactly, I contacted the Tarzan of science and technology historians, David F. Noble. David Noble is currently a tenured professor in the Department of Social and Political Thought at York University in Toronto. 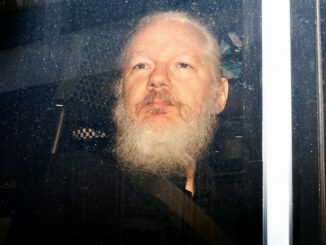 His activism about matters involving the politics of science first surfaced in the early 1970s when he says he was "coerced" by the University of Rochester to sign away rights to his doctoral thesis in history in order to get his PhD. Noble's undergraduate degree is in history and chemistry from the University of Florida. On and off for 10 years he worked as a biochemist at Tufts, Purdue and the University of Rochester Medical School. 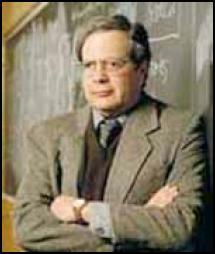 Noble went on to teach at MIT in the Science, Technology and Society department, beginning in 1978; he was denied tenure in 1984, fired "for his ideas and his actions in support of those ideas". Noble's ideas were at odds with the escalating corporatization of universities and MIT was a university with tight corporate ties. He said the reason he was denied tenure was political and described MIT's tenure process as "ad hoc". MIT Institute Professor Noam Chomsky commented at the time that Noble was "too radical for MIT". Nevertheless, Noble sued MIT for $1.5 million and although he later dropped the suit, he did manage to get the court to make public the case documents and order MIT to review its tenure practices. The American Historical Society rallied to Noble's side, condemning MIT's decision to dismiss him. Noble moved next to the Smithsonian, where as curator of industrial automation he was fired again, this time for including the only extant hammer used by the Luddites in the 19th century -- which also exposed his Luddite leanings (Noble does not communicate by email, for example). At Drexel Institute he was tenured but chose to snip the ties after five years and take a position at York University where he's been for almost 20 years -- although not without controversy. In fact, he's been a champion of social justice throughout his career. Acts of courage (partial list) include: co-founding the National Coalition for Universities in the Public Interest with Ralph Nader in 1983 to address the nightmare of universities selling out to corporations; attention to the issue of science and misogyny; and challenging religious bias in academia. Regarding the latter, Noble, a Jew, protested York University's policy of cancelling classes on Jewish holidays by cancelling his own classes on Muslim holidays, noting that to be fair, classes for all religions should really be cancelled on respective holidays if Jewish holidays were observed. In 2004, Noble took the matter to the Ontario Human Rights Commission, and York University was forced to get rid of its policy. A second action involved Noble's grievance over reprisals from the first action, i.e., his academic reputation was damaged because he had challenged York University over its religious bias. In 2008, he was awarded $2,500 as a settlement. In a third action, still before the court, Noble says he suspects "money laundering" by various pro-Israel lobbying organizations. He also says that if he wins the $19 million lawsuit, he will feel that he has "made a difference". And then there was the lawsuit Noble brought and won regarding his being denied an endowed chair at Simon Fraser University, established in the name of the founder of Canada's Social Democratic party -- an email was uncovered from SFU's president to vice president saying, "I'd avoid this appointment like the plague." The humanities department at SFU and the Canadian Association of University Teachers thought Noble was THE GUY for the job and stood by him, with CAUT attesting that Noble's "academic freedom had been violated". Noble sued for "damages for loss of income, past and future; damages for loss of reputation; aggravated damages and punitive damages and costs". In 2007 he received a public apology from SFU plus an undisclosed sum of money. 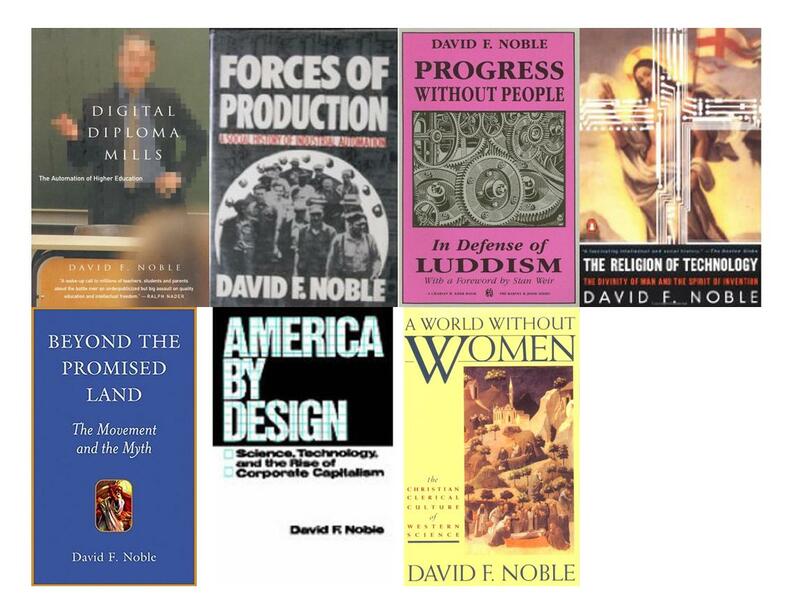 David Noble is the author of these books: America by Design; Forces of Production; Smash Machines, not People; Digital Diploma Mills; A World Without Women; Progress Without People; The Religion of Technology; and Beyond the Promised Land. My conversation with David Noble follows. Suzan Mazur: I’ve been focusing on abuse inside the peer review system in recent articles, which has spiraled out of control – to the extent that at the low end we now find virtual death squads on Internet blogs out to destroy scientists who have novel theories. They pretend to be battling creationism but their real job is to censor the free flow of ideas on behalf of the science establishment. The science establishment rewards bloody deeds like these by putting the chief assassin on the cover of The Humanist magazine, for example. But you’ve written in "Regression on the Left" that the problem IS the peer review system itself. Why do you think so? David Noble: When you say THE problem is the peer review system – the peer review system in my view is doing what it was designed to do -- censor. And filter. Peer review is a system of prior censorship, prior review – prior meaning prior to publication. So the idea of abusing the peer review system sort of adds insult to injury, because the peer review system itself is injurious. What happens with World War II, for the first time, the taxpayer is underwriting the bulk of scientific research. That never happened before. During WWII – this is in the United States – the government set up an operation called the Office of Scientific Research and Development (OSRD), headed by Vannevar Bush, vice president of MIT. The government did this to essentially enlist the support of non-governmental institutions, such as universities – private universities as well as private corporations – to do research and development for the war effort. The government’s own research laboratories were clearly inadequate for that task. So what they did was magnify the scope of the state’s research and development efforts by bringing in these extra-governmental institutions. Suzan Mazur: Prior to WWII scientists worked within the military and then after the war the government agreed to finance scientists working out of their own labs. David Noble: Right. Before the war most research was funded by private foundations. And there were many people in the scientific community. . . I make very little distinction between the scientific community and the corporate community. Those are very close links. Vannevar Bush, for example, was the vice president of MIT but he was also a director of AT&T, Raytheon, etc. Bush et al. didn’t want the government involved in funding of research because they understood correctly that if the government was involved, then the government, and through the government, the taxpayer would have some say about what was done with that money, what the research agenda would look like, etc. There was real resistance throughout the 1920s, 1930s to the state funding research precisely for that reason. Suzan Mazur: You already had the National Academy of Sciences. David Noble: In terms of the scale of operations, that was very small. WWII was the watershed. What happened was the invention of the contract system by the OSRD and there was almost immediately controversy over who was getting grants for these contracts. Since the makeup of this committee was pretty much representative of the elite universities and also the largest corporations, they got the lion share of contract work. Many outside that charmed circle said this was unequal, a privileged allocation of resources, etc. University of Nebraska said: Why don’t we get some of this money, why does it all go to Harvard and Stanford and Chicago? And small companies who were not in that charmed circle made the same complaints. This controversy raged during WWII. The second question had to do with patents, and I’m not going off on a tangent here. This is all related. What the companies did – and this is extortion – they said yes, we will build the tanks for the government but we want the patents on the work we develop. And if you don’t give us the patents, then we’re not going to do it. And so the OSRD say fine, we’ll give you the patents. That was another very, very contentious issue. Again, they were getting patents, monopoly rights to products developed by the taxpayer. So all of this is raging. By about 1943-1944, there was discussion about what the postwar scientific establishment would look like. By this time, the corporations and the universities and the scientists who had been reluctant to take federal funds for fear of taxpayer involvement were now so enamored of the largess that they didn’t want to give it up. And they said, we can't go backwards -- this is the new game -- we are going to be taking taxpayer money. But we don't want the taxpayer involved in what we do. This is a fundamental challenge to the whole. . .
Suzan Mazur: And this is what exists today. 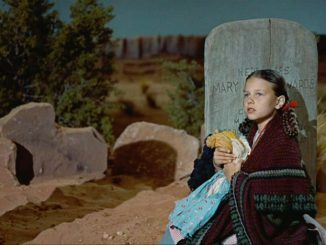 David Noble: Yes, but what happened first is that Harley Kilgore, a senator from West Virginia, set up a plan for a "National Science Foundation" whereby the taxpayer -- an ordinary citizen, a non-scientist -- would sit on committees and panels overseeing the allocation of research funds. In response to that, Vannevar Bush and his friends put together a counterproposal calling for a "National Research Foundation" -- which became more or less what we have in today's National Science Foundation. The Vannevar Bush et al. legislation said essentially that science would be funded by the taxpayer but controlled by scientists. Again, scientists – this is important to emphasize – are not simply scientists, but scientists and the corporations they work for. Suzan Mazur: Also, to get this government funding scientists have to agree to do a few things for the government. Ensure national security and the health and economic security of the nation. There's a quid pro quo. It's a way of further silencing scientists. David Noble: Well it's certainly been used that way. What I'm saying is something simpler. There was a problem with the way the committees and panels overseeing the allocation of research funds would be set up. The problem had a name and the name is DEMOCRACY. The fundamental tenet of the democratic system is that the taxpayers funding something have control over what's done with the money. Harry Truman said it was the most undemocratic piece of legislation he'd ever seen and vetoed it. It went through minor changes and became what we have today -- a scientific establishment run by scientists with very little political oversight. The key thing is how they kept the taxpayer out was through peer review. Suzan Mazur: It wasn’t until the 1960s that science journals were turned into a money-making racket when the federal government gave its blessing to a per-page fee for publication. Scientists were not only writing articles for the journals for free but now there was a per-page fee for publication. Then the number of science journals increased leading to competition between journals and to mediocre science. Are you saying such a system should be scrapped? Should the peer review journal system be scrapped? David Noble: I think so. Oh yeah. Suzan Mazur: Should anything replace it? David Noble: If the taxpayer is paying for the research, why shouldn't there be a representative array of citizens on all scientific panels? And again, going back to your first question, the purpose of peer review is prior censorship and I believe very strongly that if people want to criticize something that you write or I write, they have every right to do that AFTER it's published not before it's published. To me that's the critical issue. David Noble: Right. Now what happened with peer review that began within this establishment to keep democracy out then became the gold standard for everything. So, for example, I’ve published seven books, I’ve published countless articles, but I’ve never ever nor will I ever publish in a peer-reviewed journal or a peer-reviewed publication ever. According to my university I have no publications. This is literally true. The only thing now that is reviewed are peer-reviewed publications. And the fact that none of my work is peer reviewed -- it might be considered, but secondarily. Suzan Mazur: Do you have tenure? Does that make you ineligible for tenure? David Noble: No, fortunately for me I’m close to the exit. I’m a tenured full professor. But that’s the situation now in every field. Suzan Mazur: Has it affected your salary? David Noble: No no no. What I’m saying is for the people coming through now, this is the game. Suzan Mazur: Getting back to the current dilemma, a secretive peer review system with hundreds of thousands of private for-profit and professional society journal editors, editorial board members and reviewers of scientific publications -- none of whom get paid. And a scientific journal publisher like Wiley, for example – a publicly listed company – with $1.6 billion in revenue for 2009. Elsevier, the science publisher -- also publicly-traded -- puts out 2,000 journals and describes itself as "a global community of 7,000 journal editors, 70,000 editorial board members, 300,000 reviewers and 600,000 authors". All working for free? Isn’t it strange that so many busy scientists write these staggeringly complex journal papers for free, that they pay for their articles to be published and thousands of dollars extra if they want the public to read them, even though it’s the public who funds the research? And that journals continue to operate in secrecy about revenues and operating costs, with some of them now making millions of dollars? Isn’t it strange? They work as slaves, basically. Is there a gaming of the system going on? David Noble: What I’m saying is these commercial interests have insinuated themselves into the professional evaluation system. Why do people publish? They publish primarily to promote their own careers. Because that’s the measure. Most of what’s published shouldn’t even be published. It’s published for that purpose. And very few people read it. Suzan Mazur: Very few people can read it. David Noble: Or have any interest in reading it. Let me go back to something really simple. When I got my PhD in 1974 from the University of Rochester, I was required to give my dissertation to University Microfilms – a private company that processes and sells dissertations of theses. Suzan Mazur: Did you have to pay for this? David Noble: No. I didn’t have to pay, but in order to get a PhD from the University of Rochester I had to sign a commercial contract with University Microfilms giving them my dissertation, and I received nothing from them. And they were going to sell it. David Noble: So I said to the University of Rochester, I’m not going to sign the contract. And the University of Rochester said to me -- then you cannot get your degree. David Noble: This was in 1973 and 1974. Suzan Mazur: And how did that play out? David Noble: What we're talking about is the insinuation of a commercial enterprise into the credentialing process. It turned out that that was standard in every institution of higher education in the United States. Suzan Mazur: You got the PhD. David Noble: Anyone who has gone through that gauntlet – you’re done, you’re finished with the thesis. The margins are correct. You’ve got the right font. You’re done. You’re out of there. And they say: "NOW SIGN THIS". And I said, "NO. I’M NOT GOING TO SIGN IT." And they said, "IF YOU DON’T SIGN IT, YOU DON'T GET THE DEGREE." Well, that's called coercion. So I signed the contract. Pressure was brought to bear on University Microfilms that they should at least be forced to give royalties. And that did come to pass. I've never gotten any royalties, but the point is, that’s the way they finessed it. The university said this is an aid to us because of bibliographical control – that this private company is doing this. A private company had insinuated itself in the credentialing process. And that’s what you’re talking about. Suzan Mazur: Isn't even stranger that bankers run the boards of these big scientific publishing companies, like at Wiley, for example, where the CEO of Moody's and the former CFO of Dow Jones, etc., etc., are on the board? The content of the publication is left up to the journal editors and reviewers, meaning, in essence, the corporate publisher is passing along to the public information directly untested by it and endorsed by the bankers. "We are responsible to our shareholders, who should realize a fair return on their investments. Investors can rely on a highly capable leadership team and an independent Board of Directors distinguished by their commitment to effective governance, ethical behavior, and integrity in all that we do." "We are responsible to our authors and partners who collaborate with us to create high-quality products and services, and who deserve appropriate recognition and compensation for their efforts. We are responsible to our colleagues whom we respect as human beings first, professionals second." BUT THEY DON’T SAY THEY DON’T PAY THE SCIENTISTS! David Noble: Right. That’s the system. Just like they didn’t pay people who were producing PhDs, which became the commodity, essentially, that was being sold. Suzan Mazur: But don’t you see that as a real problem, where the board of directors of these major scientific publishers making billions of dollars -- publicly-traded companies – are bankers? David Noble: What people would say is, well, these commercial enterprises publish our work. And the reason they get away with it is because they’ve implicated themselves, insinuated themselves into the credentialing and professional evaluation process. So that every academic, every scientist has to publish. Suzan Mazur: But these bankers don’t know the content and they’re passing it along to the public. That’s the problem. David Noble: It’s one of the problems. You say these editors are saying we don’t get paid. What I would say to you is, the way they get paid is in their career advancement. That’s what we’re talking about. The insinuation of these commercial interests into that process. That’s how it works. Suzan Mazur: Some think that as hard copy journals begin to go extinct in the Digital Age, peer review complications will also fall to the wayside. But even online open-access journals are peer reviewed. And authors who get rejected without satisfactory explanation will still have no recourse but to submit to another journal. Would you say this constitutes a violation of public forum law – content-based speech restriction – because journal editors and reviewers are publicly funded scientists? David Noble: I don’t know about law – a specific statute. Suzan Mazur: Is this a First Amendment issue, something Congress might need to investigate? Because scientists are publicly funded. To not give a proper explanation for why a paper is being rejected. . .
David Noble: Let’s put it in a larger context -- 90% of research done in universities, even private universities – is paid by the taxpayer. Any company can come to the university, lay down some lunch money and leverage that 90% and in exchange get contractual obligations for prior review before publication. Non-disclosure agreements. Licensing rights. That’s the whole system. was passed. This is another watershed. The Bayh-Dole amendment laid to rest the controversy that began in WWII over the patenting of publicly-funded research. Up until 1980, it remained ambiguous. What the Bayh-Dole amendment said was that the universities automatically now own all patent rights on publicly-funded research. What that meant was that universities were now in the patent-holding business and they could license private industry and in that way give them the rights over the results of the research funded by the taxpayer. It was the biggest give-away in American history. Most scientists work for universities. Universities from 1980 on established intellectual property policies which said that they universities as institutions, as corporations, own the research done by employees. This is what private companies had been doing since the turn of the 20th century. You’re a researcher at a university. You do some research and you decide that there’s something in there that’s of value – the university owns it. And you can maybe cut a deal with the university. The university wants to sell the rights and maybe they’ll give you a little piece of it. If a private company has put in some money to that research effort, they have a contract that gives them rights. One of the rights is PRE-PUBLICATION REVIEW. 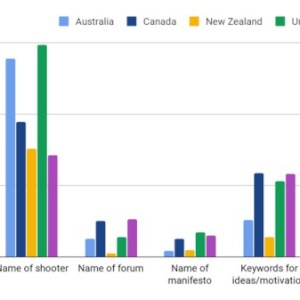 They want to see the research, check it out for anything that's commercially viable and they can censor. They can say, we don't want you saying anything about that. THIS IS ROUTINE. THIS IS THE STATE-OF-THE-ART RIGHT NOW. Suzan Mazur: Incredible. Is there a way of breaking up the "academic mafias" so that discovery and the free flow of ideas prevails and individual researchers have a shot at being funded and having their ideas taken seriously? David Noble: Well, you'd have to revoke the Bayh-Dole amendment. One stop shopping on this is a book by Jennifer Washburn called Universities Inc. – it’s a good chronology of this whole sea change with Bayh-Dole, etc. This is an important part of the story. From every angle, the journals, University Microfilms, all of the commercialization of research – from every angle there’s commercial usurpation of the whole scientific enterprise. Suzan Mazur: The Wall Street Journal ran a shocking piece in 2005 discussing the fact that scientists were spending even more money hiring ghostwriters to write their papers in an attempt to "pile up high-profile publications, the main currency of advancement". According to the WSJ, these ghostwriters whipping up journal articles for the scientists were sometimes employed by communications firms charging $30,000, and the firms were part of larger companies like Thompson Corp. and Reed Elsevier. Would you comment? Suzan Mazur: Right. But the nuances are very important in these papers and so this is a very dangerous practice. Suzan Mazur: Did they put him in charge because he’d be compliant? David Noble: I think there are other reasons, but the point is he has no scholarly credentials.